TSN Basketball Analyst Jack Armstrong shares his thoughts on the Toronto Raptors defence, Malcolm Brogdon of the Bucks and a few predictions on the NCAA March Madness Tournament. 1. 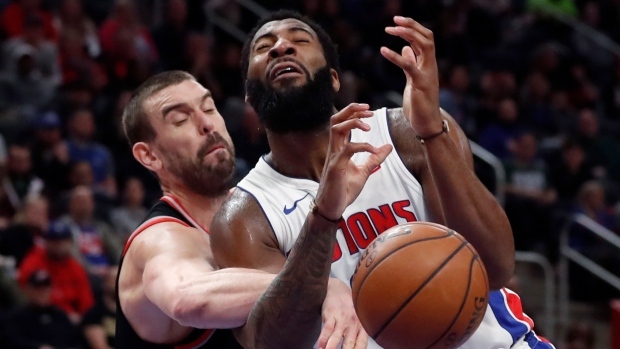 RAPTORS DEFENCE: Down the stretch in a loss to the Detroit Pistons on Sunday, the defence had its share of issues getting big stops allowing 60 second-half points with the Pistons shooting a comfortable 47 per cent from the field overall in the day. The Raptors are at their best when they're locked in and really consistent on this end of the floor fuelling their transition attack. Of late, I’m seeing a team that’s having untimely breakdowns at critical moments that create self-inflicted issues that are difficult to overcome. As much as we focus on offensive chemistry, role definition and overall team health/depth leading into the playoffs, this is an area that really needs to tighten up. Offensive basketball will always have a degree of volatility to it. Defence is all about grinding out good daily habits that don’t waver a whole lot. This team needs to re-establish those core principles and get their foundation for success more stable. 2. MALCOLM BROGDON (Bucks): Big loss for Milwaukee losing this guy for approximately six weeks. He’s been fabulous this season averaging 16 and five along with three assists per game. Brogdon is super-efficient shooting percentage at an impressive 50, 43 and 93 per cent. Highly skilled and a tough/hard-nosed defender who gives his team lots of juice and energy. His dependability will be missed. 3. ZION WILLIAMSON (Duke): By far the most physically dominating and imposing player in this year’s NCAA Tournament. He had an incredible run in the ACC Tournament averaging 27 and 10. He’s playing at another level right now after his injury and is simply put a major load to deal with on a singular basis for any defence. The Blue Devils will need every bit of his explosive play to ride that to the Final Four. The man is on a mission. 4. NCAA TOURNAMENT (A Few Lower Seeded Teams that could pull off an Upset): Here we go! I’m mostly wrong but here are a few teams that might make a splash in the first weekend of March Madness. Have fun with your Brackets. Here goes. Keep an eye on: UCF, Liberty, Yale, Murray State, Oklahoma, UC Irvine, St. Mary’s, Northeastern & Seton Hall. 5. FINAL FOUR & CHAMPS: Duke, Michigan, Tennessee and North Carolina. I’m going with Michigan over North Carolina in the Finals. I’m rolling with the Michigan Wolverines. Tune in on TSN TV for wall to wall coverage. Can’t wait. Enjoy the Madness!